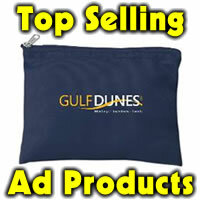 Want a way to promote your business or service all year? will get your name or logo out as people shop, go to the gym or run errands. 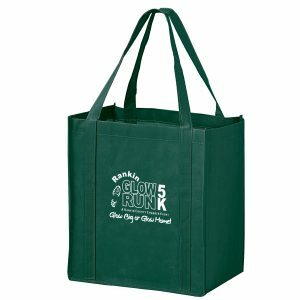 Great for trade shows, tournaments, conferences, farmers markets and more. Stitched seams in sides and bottom gusset with reinforced sewn handles make these sturdy and useful. Colors: Purple, black, burgundy, lime, hunter green, navy, red, royal or tan. 12″ x 13″ x 8″ with 5″ x 8″ imprint area. 100 at 1.30 ea, 250 at 1.20 ea, 500 at 1.11 ea and first color set up is free. Add’l imprint or side is 45 cents per item plus 45.00 set up. Item BRB12813.